A regular meeting of the Board of Trustees of the Shelbyville Independent School District will be held on Monday, March 5, 2018, beginning at 12:00 p.m., in the Board Room of the Shelbyville Independent School District at 5322 Hwy 87 S, Shelbyville, Texas. This notice was posted in compliance with the Texas Open Meetings Act on February 28, 2018, at 3:00 p.m.
FFA News - Thursday, March 1st is the Shelby County Livestock Show in Center at the rodeo arena. The show starts at 10:00 a.m. The meal and sale will be at the Civic Center in Center on Saturday. The meal starts at 6:00 p.m. with the auction to follow with students and their market animals. Our students and teachers work very hard so come out and support our FFA!! Timpson ISD would like to thank our Advisory Board Members for attending our recent meeting. Mr. Calvin Smith presided over the meeting and the 38 members in attendance. Mr. Smith took the opportunity to explain the direction of our district and raise awareness that the partnerships we are forming are a foundation to the Collegiate Center and STEM Academy. Timpson ISD invited clergy, business owners, political figures, parents, students, and faculty to attend our Advisory Board meeting. Timpson ISD is looking for input from our advisory board members. Timpson ISD wants to better assist our students who are transitioning from high school to college, and then into the workforce. The goal of Timpson ISD is to graduate every student with something more than a high school diploma. 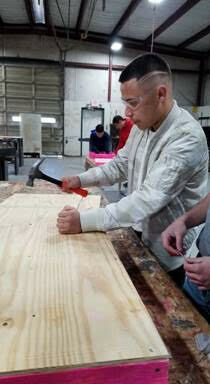 Timpson ISD wants to develop students who can be a valuable asset to the workforce in East Texas. Timpson ISD would like to thank Mayor- Debra Smith, John Grigsby-Texas State Bank, Ronnie Sowell-Pastor Good Hope, Derek Pierce- Manager General Shelters, Laurie King- Human Resources Port a Cool, Terry DeRise Port-a-Cool, Paul Smith-Chamber of Commerce and Owner Smith Sawmill, Robin Connell- Owner Quick Stop, and Dr. Bubba Adams- Vice President Panola Junior College for taking the time out of your busy schedules to attend. Our next Advisory Board Meeting is April 16, @ 3:30 in the Middle School cafeteria. We would like to invite anyone who is interested in the direction of our School District to attend. March 9th is an early release day. Are you thinking about retiring within the next five years? Human Resources is holding a 5-4-3 to Retirement presentation on 3-1-18 and March 29 in the student center, in Room 2.201. The A Cappella Choir at Stephen F. Austin State University will present “Where Everything is Music” at 7:30 p.m. Thursday, March 8, in Cole Concert Hall on the SFA campus. The program theme will examine the many ways in which music affects everyday life. A highlight of the concert will be the A Cappella Choir’s North American premiere of Swedish composer Bo Hansson’s original composition “Where Everything is Music” for choir and cello. The Fourth Grade Class at Excelsior School wrote and illustrated a book titled “Fourth Grade Wild Things”. A tremendous amount of time and effort went into creating this book. The students learned a great deal about the publishing process while they improved their vocabulary and writing skills. Plus, being a young published author gives a sense of pride and accomplishment. The students are very fortunate to have a teacher who provides activities that enhance the educational experience. A big “thank you” to teacher, Mrs. Angie Gillis for helping students create this exceptional book! Center Middle School students traveled to Grapevine, Texas to the Junior Beta State Convention at The Texas Gaylord. Fifty five students attended and several competed in many events ranging from arts and crafts to theater and academics. This year we had 2 groups of students earn the privilege to advance in to Nationals this summer in Savannah, Georgia. CISD police officer, Matt Haddox, once again designed the set for Living Literature and with the help of several volunteers, brought the set to life. 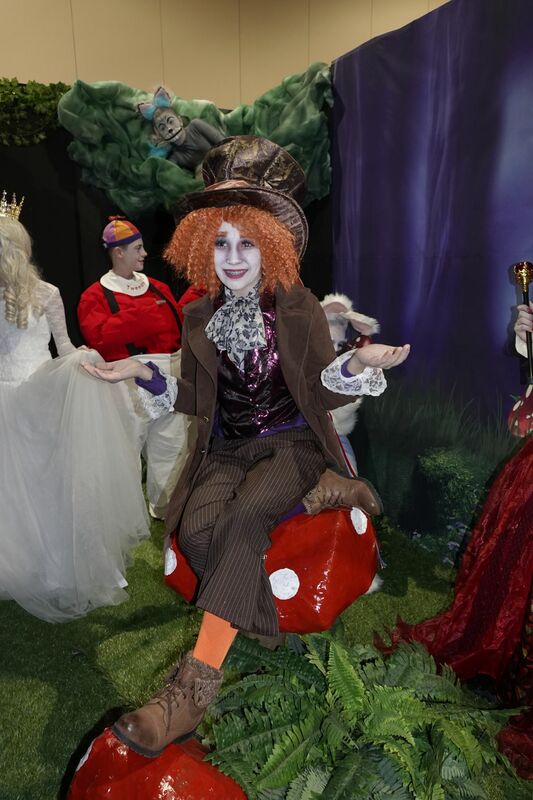 The Team of Living Literature placed 2nd in their selection of 'Alice in Wonderland...Through the Looking Glass.' Officer Haddox's volunteers include: Cory Causey, Allison Scull, Rickey Andrews, and Terry Scull. Dale Alexander of Ultra Shade contributed the mirror. 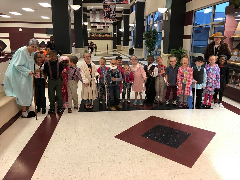 Students involved in Living Literature were: Alli Stuever, Sarah Scull, Skylar Causey, Bryanna Hardy, Emilee Elliott, Makenna Gipson, Lance Holloway, Ethan McElroy, and Mia Mahan and Brannon Denby were part of the set crew. Also qualifying for nationals was Carson Crouch. 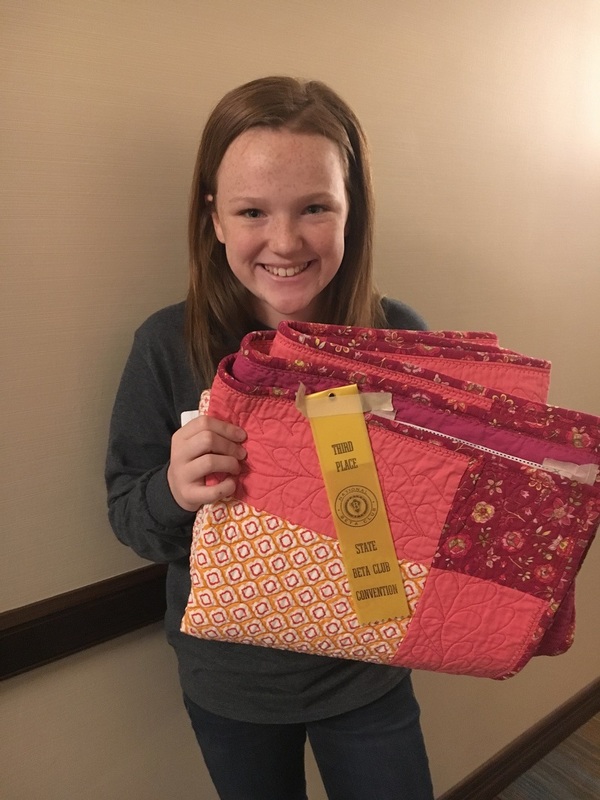 Carson entered a quilt she designed and quilted and placed 3rd at the state convention. Junior Beta Sponsors are Holly Burns, Pam Doggett and Sommer Herndon. To accommodate all of the transportation and travel needs for the basketball regional semifinal game in Commerce, we will be releasing school 3.5 hours early on Friday, March 2. We will be providing Basketball Fan Buses again this year. If you or someone you know wants to ride the fan bus, call the Center ISD Transportation Dept at (936)598-2880 and reserve your spot. Adults $ 5.00 students $3.00 and children und 5 years old are free. All children under the age of 15 must be accompanied by an adult. We will start loading buses at 1:30pm at the old bus barn located off of Timpson highway and will pull out at 2:00pm sharp. The Panola Fillies return home one final time this season in AJ Gym. The Fillies host Bossier Parish Community College Wednesday February 28th, 2018 at 5:30 p.m. 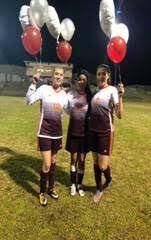 Prior to the game, the Fillies will recognize the sophomores of the team. The Fillies are 22-5 on the season and 14-4 in conference. Panola is currently ranked 17 in the nation and tied for 2nd in Region 14. The Fillies are undefeated at home with a 12-0 record. The JHS softball game scheduled for today (02/27/18) vs Douglass HS has been rescheduled for Saturday (03/03/18) at noon in Douglass. 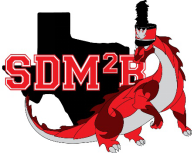 CMS Beta Living Literature Team, sponsored by Matt Haddox, will compete at the national convention following a second place finish at the Living Literature Competition in Grapevine on February 8. The Living Literature competition provides an opportunity for students to present their interpretation of a scene from a favorite work of literature. With help from adults, the students build a set where the students pose for up to 5 minutes with no movement. Essentially, students become “wax museum figures” of the characters they represent. The College of Fine Arts and School of Music at Stephen F. Austin State University will present a guest recital featuring Craig Morris, trumpet, and Rebecca Wilt, piano, at 6 p.m. Saturday, March 3, in Cole Concert Hall. Their program will include “Suite Bergamasque” by Claude Debussy; “Monkeyshines” by Roshanne Etezady; “Quatro Pezzi” by Giacinto Scelsi; and “Sonata for Trumpet and Piano” by George Antheil. Carthage, Texas – The Panola College men’s basketball team split this week in Region 14 play. They defeated 14th ranked Tyler Junior College on Wednesday and lost to Kilgore College on Saturday. “The Tyler win was one of the biggest home wins we have ever had.” Head Coach Grant McMillan stated. “I was disappointed in our overall performance in Saturday. We just have to be better.” He added. On Wednesday, Panola started out slow falling down 10-3 before taking control the rest of the half. They found themselves up 34-26 at halftime. Panola maintained their lead entire second half. Tyler came within three points with just under 8:00 minutes remaining before Juwan Williams hit back-to-back three points while being fouled. Panola won 88-75. Saturday, the Ponies found themselves down 12-7 early and never got any closer. Kilgore gradually increased their lead the rest of the half taking a 38-27 lead. Panola scored the first two points of the second half but Kilgore kept a stronghold on the lead the rest of the game taking the 80-60 victory. Panola hosts Bossier Parish Community College this upcoming Wednesday for sophomore night. Panola’s seven sophomores will be honored before the opening 7:30 tip. The Board conducted a public hearing in accordance with Texas Education Code 39.053 to discuss the District’s educational performance on the Texas Academic Performance Report (TAPR) during its’ regular February 19th board meeting at 6:00 p.m. in the Joaquin Board Room. Board members absent: Chrisco Bragg and Bill Mason, Jr.
Ronnie Belrose, Vice-President, called the meeting to order at 6:01 p.m.
2 The invocation was led by Phil Worsham, and the Pledge of Allegiance to the United States of America by Thomas Harvey, and the Pledge of Allegiance to the Texas Flag was led by Tam Hearnsberger. 5.1 It was moved by Thomas Harvey, and seconded by Brandon Neal, to approve the previous meetings minutes. Following discussion, a vote was taken on the motion. It carried unanimously. 5.2 It was moved by Tam Hearnsberger, and seconded by Jeff Cater, to approve the transfer policy (attached). Following discussion, a vote was taken on the motion. It carried unanimously. 5.3 It was moved by Jeff Cater, and seconded by Tam Hearnsberger, to approve the authorization for the Superintendent to act on Fiber Grant proposals. Following discussion, a vote was taken on the motion. It carried unanimously. 5.4 It was moved by Tam Hearnsberger, and seconded by Brandon Neal, to amend 17/18 School Calendar due to bad weather. Following discussion, a vote was taken on the motion. It carried unanimously. 6 Ronnie Belrose, Board Vice-President, ask for items to be placed on the next board agenda. 7 Designation of date and time of next meeting of the Board of Trustees of the Joaquin ISD – March 26th at 6:00 p.m.
8 With no further business on the agenda the meeting was adjourned at 8:31 p.m.
A Special Meeting - Board Training - Vision and Goal Setting Workshop of the Board of Trustees of Center ISD will be held February 27, 2018, beginning at 12:00 PM in the Center Independent School District Administration Boardroom 107 PR 605 Center, TX 75935. 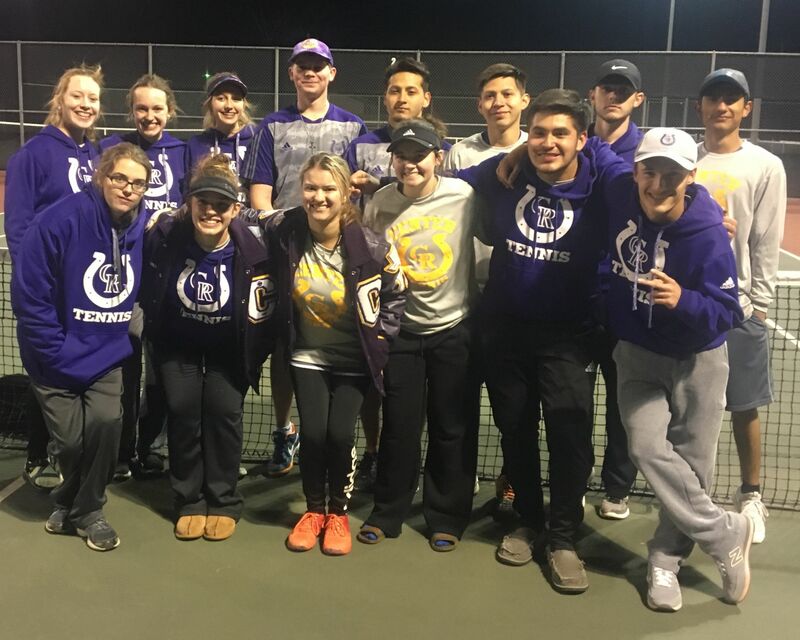 Nacogdoches Varsity tennis tournament is being rescheduled. JV Tournament bracket has been cancelled. Friday, 2.23.18 at 7 p.m. The Field of Dreams Tournament at Pinetree, Longview, 2/22-2/24 has been cancelled due to inclement weather and field conditions. The boys track meet at Pine Tree on Saturday has been cancelled due to the pending bad weather. The team will run next Monday and Thursday in Marshall. The Immunization Clinic has been set for March 6th in the Tiger Den beginning at 9am. 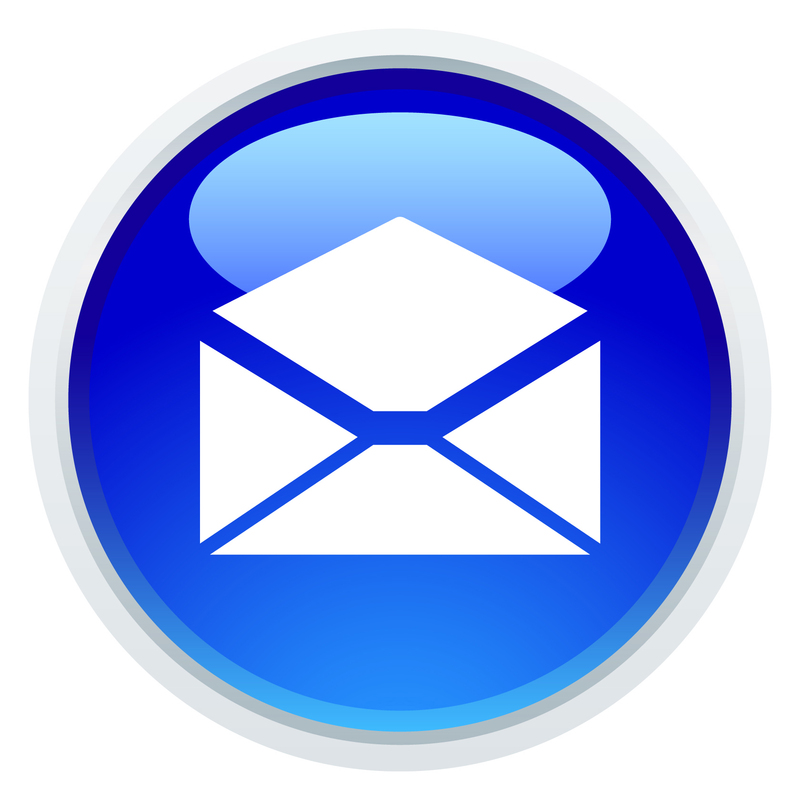 Immunization Forms are due February 23rd. For more information contact Stella Baker at 936-248-5000 ext. 401. Lady Tigers vs Centerville on Friday at 7:30 PM at Leon HS. Tickets at the gate are $10 for Adults and $ 5.00 for Students. KGAS will broadcast on 104.3 for the next 3 games. Bus ticket will be $20 for adult or student and this price includes admission into the game. The bus will leave promptly at 4pm from the Tenaha High School parking lot. This will be a round trip with no stops. Food may be purchased at the game. Fan Bus Tickets can be purchased at the High School. For more information contact Aleisha Horn at 936-248-5000 ext. 501. Note: Students not in high school must be accompanied by an adult. School will release at 2:30 pm Friday, February 23rd to accommodate travel for the game. At San Augustine ISD Benchmark Testing will be held on Monday and Wednesday for English I and II, 7th Writing, and 8th Reading and Math. Tuesday our baseball team travels to Chester for a 4 PM game. Wednesday the Honors 9th, 10th, and 11th English classes will travel to SFA for a "Living Like a Lumberjack" day on campus with a meal and free tickets the men's basketball game that evening. 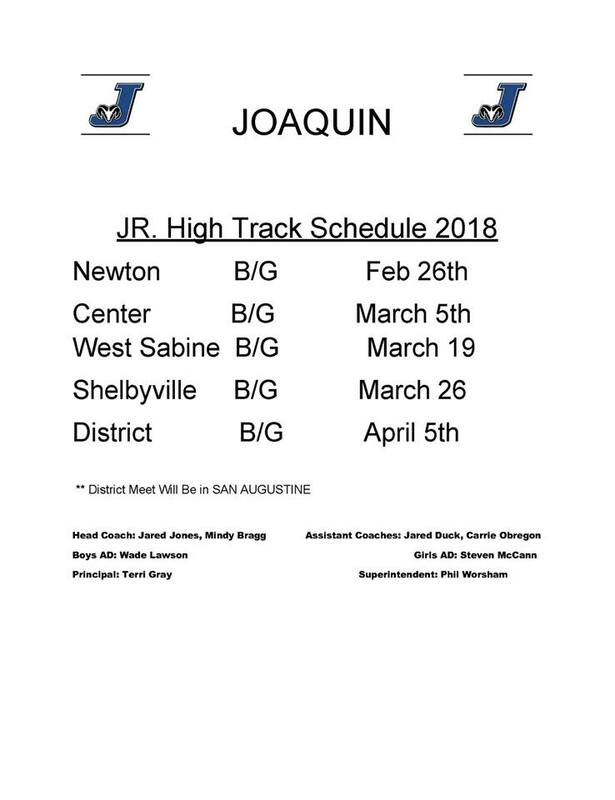 Thursday our first High School Track Meet will take place in Groveton, while our baseball team will play Apple Springs here at 5:30 PM. On Saturday the academic UIL teams will travel to Sabine Pass for a practice meet. AFNR students getting projects done. The following Shelbyville Lady Dragon power-lifters will represent Shelbyville High School at the Regional meet in Fairfield, TX on March 3. 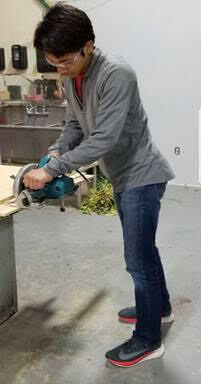 Vote for Kyle Keller, SFA’s men’s basketball coach, to raise $100,000 for the Nacogdoches United Way. The Infinity Coaches Charity Challenge includes four rounds of voting to whittle a group of 48 coaches down to a final four. Keller is currently in sixth place out of 15 coaches in the third round of voting, which will end Sunday, Feb. 25. You can vote once daily at voteforcoachk.com. 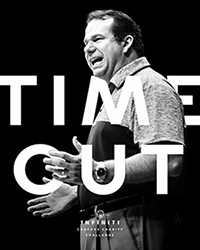 Also, you can vote on social media by tweeting, "I voted at voteforcoachk.com #Timeout2Vote #CoachKyleKeller,” and by posting a black-and-white picture making the "timeout" hand signal on Instagram with #Timeout2Vote #CoachKyleKeller in the comments. SFA’s Employee wellness staff members would like to recognize and congratulate the top three winning teams for exemplifying wellness throughout the challenge's third week. Walking Our Axes Off placed first. Team members include Jessica Shull, Ashley Engle, Jerri Cates and Kim Daniels. Team EI-EEO placed second. Team members include Deja Peterson, John Wyatt, Kim Odems and Becky Garrett. The Jax Mafia placed third. Team members include Ken Morton, Cyndra Krogen-Morton, Yuleinys Castillo and Jessica Waguespack. The most improved team is Scott’s Tots. Team members include Sarah Kouliavtsev, Kerry Whitsett, Christine Broussard and Kasi Dickerson. SFA’s Center for Teaching and Learning has named the 10 presenters for the 2018 Teaching Showcase, which will be at 2 p.m. Wednesday, Feb. 21, in the Baker Pattillo Student Center Multimedia Room. The showcase provides an opportunity for faculty and staff members and teaching assistants to share best practices, recognize colleagues' innovative teaching methods and hold cross-disciplinary conversations to create better learning opportunities for students. This year’s speakers include: Drs. Megan Condis, assistant professor, and Amber Wagnon, lecturer, in the Department of English and Creative Writing; Dr. Jillian Dawes, assistant professor in the Department of Human Services; Dr. Stephanie Jones, assistant professor in the Department of Agriculture; Dr. Rachel Jumper, assistant professor in the School of Human Sciences; Laurel Matthews, clinical instructor in the DeWitt School of Nursing; Dr. Chris McKenna, assistant professor in the Department of Business Communication and Legal Studies; Herbert Midgley, lecturer in the School of Music; Dr. Mark Montgomery, assistant professor in the Department of Elementary Education; and Dr. Bill Nieberding, assistant professor in the School of Art. 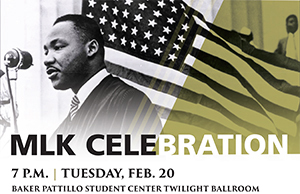 SFA’s Office of Multicultural Affairs will host an MLK Celebration for members of the SFA and Nacogdoches communities to celebrate the life and legacy of civil rights activist Dr. Martin Luther King Jr., beginning at 7 p.m. tomorrow in the Baker Pattillo Student Center Twilight Ballroom. Tickets are available at the student center's Information Desk. Tickets are $5 for faculty, staff and community members, and $3 for students. For more information, email oma@sfasu.edu. Panola College Workforce and Continuing Education Department is offering a new Art class called “Paint with Kate”. It will be led by our own Katy Chance. The first class will be Tuesday evening, April 24th from 5:30 to 8:30 p.m. Students under the age of 13 must be accompanied by an adult. 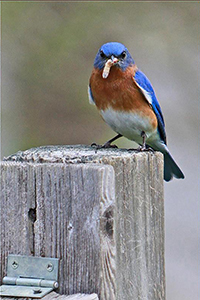 Our spring Healthcare programs will be starting soon. Session two of Phlebotomy meets on Mondays, Tuesdays, and Wednesdays from 5:00 p.m. to 8:15 p.m. each week from April 23 through August 1st. CPR certification courses will be offered on Wednesdays from 9 a.m. to 5 p.m. Call our CPR coordinator, Douglas Snodgrass, at 903-693-1192 for more information. He offers flexible scheduling for healthcare professionals who need to keep their CPR certification current. Pharmacy Technician classes begin March 20th through May 22nd. Meeting times for this program are Tuesday evenings from 6:00 to 9:00 p.m. Our CNA program will begin at the Center campus starting May 14th through June 1st. Class meeting times will be Monday through Friday from 7:00 a.m. until 3:30 p.m. We will have a second Center campus CNA class beginning June 4th through June 27th. These meeting times will be from 7:00 a.m. until 1:30 p.m. Our Carthage CNA program will start June 4th through June 27th. Class meeting times are Monday through Friday from 7:00 a.m. until 1:30 p.m. We will also offer the CNA program at our Marshall location beginning June 4th through June 27th, Monday through Friday from 3:00 p.m. until 9:30 p.m. If you’ve thought about getting your CDL certification, we offer professional truck driver training at our Marshall location. Call Tammy Hicks at 903-578-0525. We offer many internet courses including QuickBooks, Paraprofessional (teacher’s aide), and a Medication Aide update course for licensed CNA’s. This update course will be offered March 3rd through the 20th. We also offer Real Estate as an online program. Panola College has partnered with VanEd to provide a unique education program for students wishing to become a licensed Texas real estate salesperson. Panola Workforce and Continuing Education also offers free GED (High School Equivalency) and ESL (English as a Second Language) programs. To register or to find out more, contact Panola College Workforce & Continuing Education, 903-603-2067, email ce@panola.edu, or stop by the office in the W. C. Smith Building on West Panola. Timpson Lady Bears will face Woden in the Regional Quarter-finals in Tenaha at 6:00 p.m. on Tuesday. Timpson is the visiting team. Also Tuesday there will be a pep rally at 2:40 p.m. for the Lady Bears and a sendoff for the team at 4:30 p.m. Good Luck Ladies!! You Can Do It!! 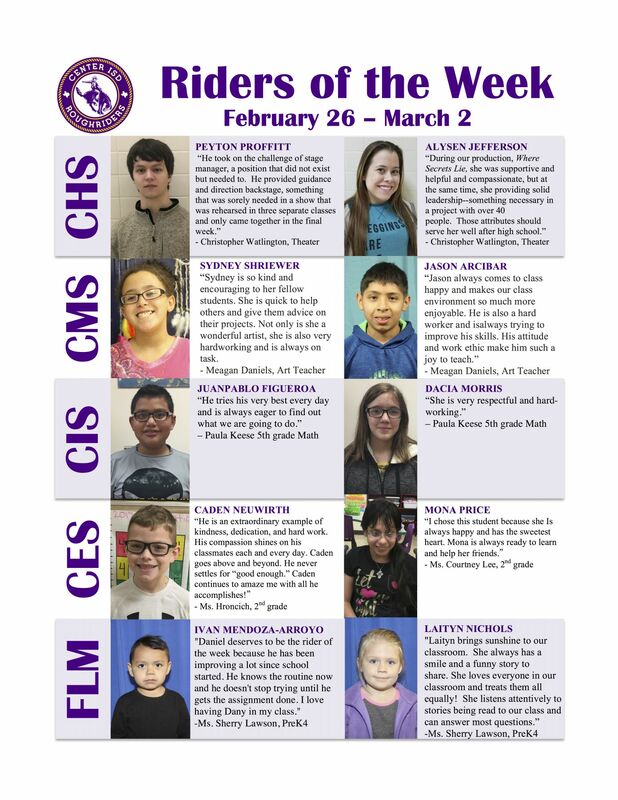 Congratulations to these talented students for their accomplishments!! The Joaquin ISD baseball game for Tuesday 2-20-18 night has been moved to night (Monday) 2-19-18 at 5:30 p.m. in Waskom due to the weather coming on Tuesday. The Board will hold a public hearing in accordance with Texas Education Code 39.053 to discuss the District’s educational performance on the Texas Academic Performance Report (TAPR) during its’ regular February 19th board meeting at 6:00 p.m. in the Joaquin Board Room. Notice is hereby given that on the 19th day of February 2018 the Board of Trustees of the Joaquin School District will hold a regular meeting at 6:00 p.m., at the Joaquin Board Room, Joaquin, Texas. Boys Bi-District Playoff details are set!!!! Tickets are $5 per person and only District 21-2A and 22-2A passes will be accepted. For the fourth straight year with 42-7 win over Broaddus the Lady Tigers advance to Region III Quarterfinals.... Next up for the Lady Tigers is District 21-2A Champion and 17th ranked Douglass for the right to compete in the Regional Tournament next weekend. Game details are being worked out and are tentatively set for Central Heights on Tuesday at 6:00 PM. However, those are tentative details at this time. Tuesday, 2/20/2018 @ 6:00 p.m.
Due to inclement weather games originally scheduled for Saturday 2/17 at Stonewall, La have been moved to Friday, 2/16. are tentative details at this time. The Piney Woods Camerata at Stephen F, Austin State University will perform great works from the Baroque Era when the faculty-student string ensemble performs at 4 p.m. Sunday, Feb. 25, in Cole Concert Hall on the SFA campus. TLB Basketball News – The Timpson Lady Bears will travel next to Zavalla to battle Evadale in Area play. The game will be Friday at 6:30 p.m. and Timpson will be the home team. Go Lady Bears!! 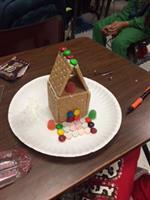 Pictures taken and submitted by Tenaha ISD. Congrats to the following Tenaha ISD students for advancing to State Solo & Ensemble this past Saturday 2-10-18. Dragons will play Feb. 16 at 1:00 pm in the East TX Showcase vs Grosebeck at Frankston High School. A Regular Meeting of the Board of Trustees of Center ISD will be held February 15, 2018, beginning at 12:00 PM in the Center Independent School District Administration Boardroom 107 PR 605 Center, TX 75935. 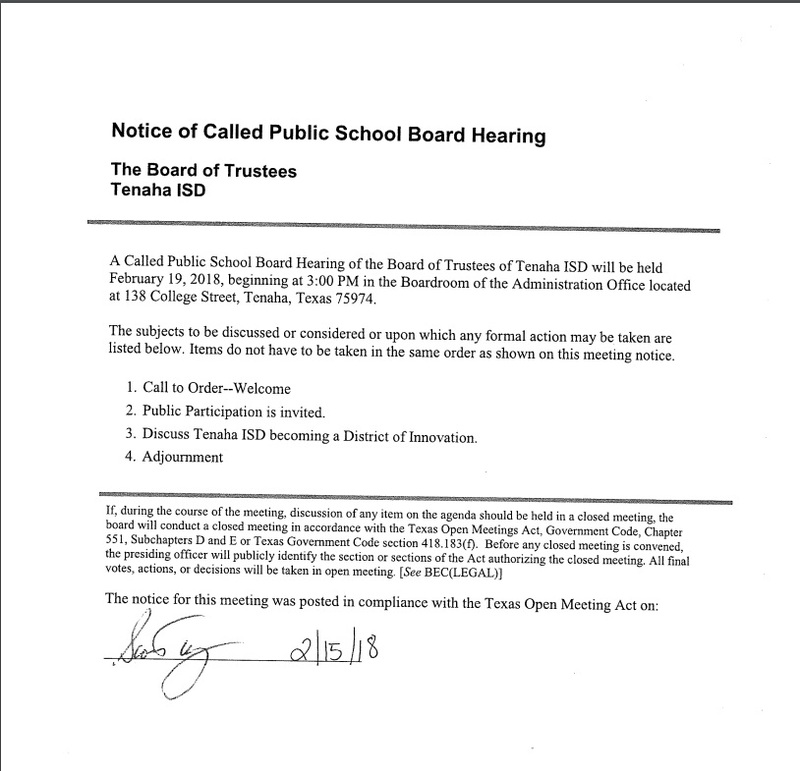 Aaron Roland, Board President for the Tenaha Independent School District, has announced the regular board meeting set for February 19, 2018 at 5:30 pm is rescheduled to 3:15 pm and the public hearing for the same day is rescheduled to 3:00 pm. TLB News – The Timpson Lady Bears are Bi-District Champs!!!!. The Ladies were victorious over Neches 44-27. There will be game details in tomorrow’s Bear Update regarding the Area competition. Way to go Lady Bears!! "If you are interested in purchasing a full color Tenaha yearbook ad for your business, please contact Mrs. Ali Tyner at tynerali@tenahaisd.com." 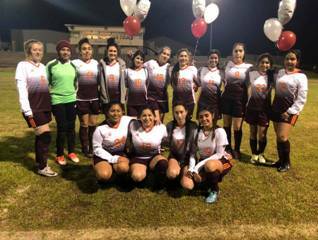 4-0 win against Crockett. Two goals were scored by Leslee Flores, one by Ariday Hernandez and one from Tenaha newcomer, Giselle Rico. Shelbyville 7th and 8th grade band students have spent the past few weeks preparing a solo and/or an ensemble for competition. On Friday, February 9, these students competed at Solo and Ensemble Contest at Nacogdoches High School. Thirty events performed at the contest with twenty-four receiving superior ratings (1st divisions) and six receiving excellent ratings (2nd division). At the end of the evening the band brought home a total of 30 medals. 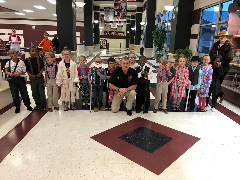 The following students performed at the contest: Tay-una Allen, Brenda Baustista-Moran, Aubree Camp, Naomi Caporali, Jaelyn Crawford, Reese Davis, Clayton Dean, Avery Faulkner, Matthew Freeman, Celeste Holloway, Jayda Hopkins, Matthew Hudman, Dawson Jackson, Kara Jones, Gracie Leach, Skyler Lee, Collin Lloyd, Krystal Martinez, Kendall Murry, Chloe Musico, Jesica Perez, Samuel Pless, Rebekah Powell, Katelynne Risinger, Abigayle Shofner, Ava Silva, Gracie Slocum, Neena Smith, Neera Smith, Ja'Kory Standley, Jasmine Stutts, Eli Taylor, and Kayla White. We are extremely proud of our students. We look forward to performing for you as we prepare for the Shelbyville Bands Spring Concert on May 7, 2018 @ 6pm. Shelbyville High School band students have spent the past few weeks preparing a solo and/or an ensemble for competition. On Saturday, February 10, these students competed at UIL Solo and Ensemble Contest at Stephen F. Austin State University. At the end of the day the band brought home a total of 22 medals. 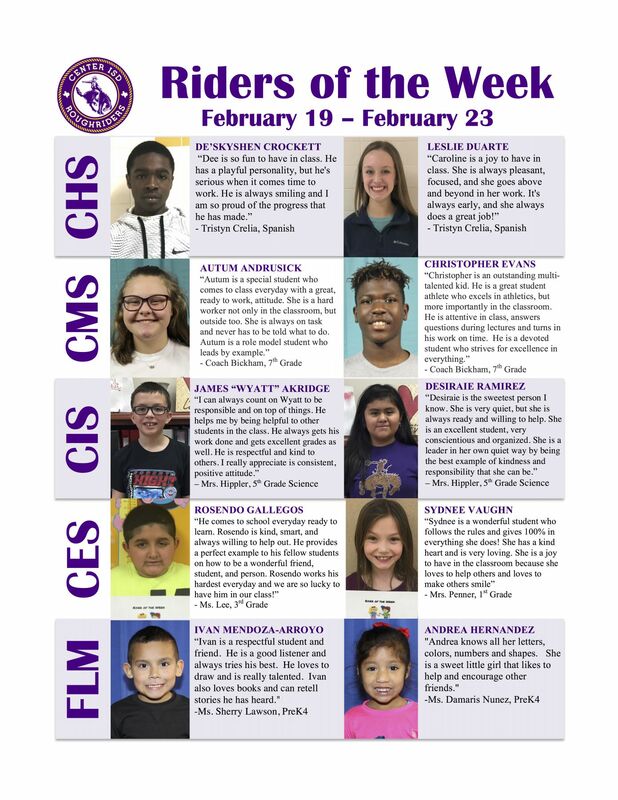 The following students received superior ratings at the contest: Randall Bailey, Lizbeth Bautista, Kiana Bennett, Alexis Berry, Kalina Bradshaw, Kyle Dodd, Levi Dramberger, Samantha Ferrebee, Jacobi Jackson, Denise Jones, Kelsey Jones, H'Leighen McClelland, Vivian Mendoza, Jasmine Osby, Yadira Reyes, Madison Taylor, and Logan Williams. 5 of our ensembles will be representing Shelbyville at the Texas State Solo and Ensemble Contest held in the Austin area. Members of the ensembles include: Randall Bailey, Lizbeth Bautista, Kiana Bennett, Alexis Berry, Kalina Bradshaw, Kyle Dodd, Samantha Ferrebee, Jacobi Jackson, Denise Jones, Kelsey Jones, H'Leighen McClelland, Vivian Mendoza, Jasmine Osby, Yadira Reyes, and Madison Taylor. We are extremely proud of our students. 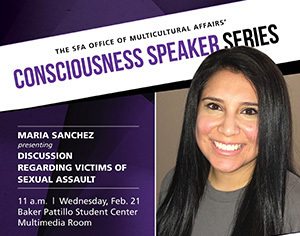 Maria Sanchez will participate in the Office of Multicultural Affairs’ Consciousness Speaker Series with her discussion regarding victims of sexual assault at 11 a.m. Wednesday, Feb. 21, in the Baker Pattillo Student Center Multimedia Room. SFA faculty and staff members lead the lunch-hour lecture with the goal of opening discussion regarding progressive issues in diversity, multicultural education and social justice. 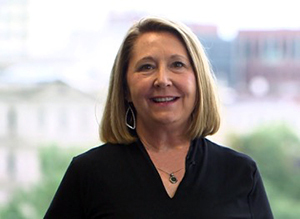 The Association for Business Communication-Southwestern U.S. has posthumously awarded Judi Biss, former SFA lecturer in the Rusche College of Business, the 2018 Outstanding Business Educator Award. The Office of Multicultural Affairs’ Brave Space Series is scheduled for 4 p.m. Thursday, Feb. 15, in the Baker Pattillo Student Center Regents’ Suite A. This month's session focuses on the politics, controversies and obsessions surrounding Afro-textured hair. Carthage, Texas – Due to travel arrangements, Panola College men’s basketball game against DFW Prep been moved to Thursday, February 15th. Tip-off is set for 7:00 PM on the campus of Panola College’s AJ Gym. The ponies are currently 16-8 and have won four straight games. Shelbyville Senior night is Tonight, Feb. 12, 2018 at 7:00 p.m.
Carthage, Texas – The Panola College men’s basketball team defeated 18th ranked Paris Junior College this past Wednesday and Navarro College over the weekend. With the two wins, Panola elevates their conference record to 9-5 and overall record to 16-8. “This was two good wins for our ball team. On Wednesday we never gave up and on Saturday we executed really well all game long.” Head Coach Grant McMillan stated. On Wednesday, both Paris and Panola came out scorching hot from the field as Paris took a 47-45 halftime lead. Paris gradually took control in the second half taking a 10 point lead 73-63 with just under 7:00 minutes remaining. Panola chipped away and took a 82-81 lead with 1:15 remaining on a Marlon Taylor three-pointer. A Shandon Goldman dunk with 30 seconds remaining all but sealed the victory as Panola won 87-83. Against Navarro, Panola held a steady lead most of the half taking a 37-34 halftime lead. Navarro tied the ball game up at 41 before eight straight points by TJ Killings helped separate Panola lead midway through the second half. Panola gradually increased the lead the rest of the way to the 87-83 victory. Future college students will have the opportunity to experience a taste of campus life during a free, action-packed open-house Saturday, Feb. 24. For more information about SFA's Showcase Saturday, contact the Office of Admissions at (936) 468-2504, or email admissions@sfasu.edu. Lady Bear Basketball News – The Varsity Lady Bears will be playing Neches in Bi-district play in Wells on Monday, February 12th at 6:30 p.m. Timpson will be the visiting team. Gate Prices will be $5/3. District Passes will be accepted. Go Lady Bears! We would like to share a wonderful opportunity for the parents in your district. Region 7 ESC is hosting our 10th Annual Parent Academy on March 28, 2018 in Kilgore. Attached are the flyers and registration forms for the event. There is no cost to the parents and lunch is free! What do we need to do as a district to share this information with our parents? o Share on social media…we have! Check out our Region 7 Facebook page. What can we do to help register parents for the event? What else could our district do to help parents attend the event? Some of our parents only speak Spanish, will there be interpreters? 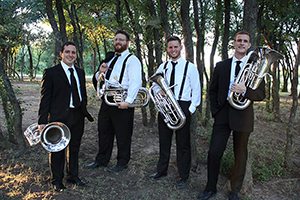 The North Texas Euphonium Quartet will bring new euphonium quartet music to the spotlight when the ensemble performs at 7:30 p.m. Saturday, Feb. 10, in Cole Concert Hall. The NTEQ includes Dr. Danny Chapa, adjunct professor of low brass at SFA; Dr. Irving Ray, euphonium player in the United States Army Band; Vince Kenney, assistant director of bands and assistant professor of low brass at Drake University; and Chris McGinty, director of instrumental studies at North Central Texas College. The bulk of the euphonium quartet repertoire comprises arrangements and pieces written from trombone quartet. Their goal is to promote and advocate new works originally composed for four euphoniums. Click here for more information about the artists and their music. Tickets are $8 for adults, $6 for seniors, and $3 for students and youth. 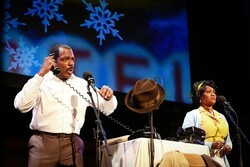 For tickets or more information, call the SFA Fine Arts Box Office at (936) 468-6407, or visit finearts.sfasu.edu. SFA will be well represented at the 2018 Texas Music Educators Association annual clinic/convention Feb. 14 through 17 in San Antonio. The SFA Wind Ensemble, directed by Fred J. Allen, director of bands at SFA, and the Orchestra of the Pines, directed by Dr. Gene H. Moon, director of orchestras, will perform before the nation’s premier music educators’ convention that historically draws more than 26,000 attendees. The Wind Ensemble has been invited to perform before TMEA audiences on numerous occasions, but this is the Orchestra of the Pines’ first invitation. "Peter Sarkisian: Video Works” will open with a reception and gallery talk by the artist from 6 to 8 p.m. Thursday, Feb. 15, in The Cole Art Center @ The Old Opera House in downtown Nacogdoches. The exhibition, which features video projections on sculpture, will show through April 21 in the Reavley Gallery. Sarkisian is an American new-media artist whose work combines video projection and sculpture to create a hybrid form of multimedia installation, according to John Handley, director of galleries for SFA's School of Art. Admission to all art exhibitions and receptions is free. For more information, call (936) 468-1131. The Steen Library will host a workshop about citation managers at 10:30 a.m. Feb. 23 in Steen Library, Room 205. Citation managers are programs that save time by organizing references and full-text files, automatically creating in-text citations and a bibliography, and switching between thousands of citation styles. This session will include an overview of three of the most popular citation managers: RefWorks, Mendeley and Zotero. By the end of the workshop, attendees will know the advantages of using a citation manager and which of the three best meets their needs. For more information or to register, contact Melissa Clark, student engagement librarian, at (936) 468-1852 or clarkm4@sfasu.edu. The Center for Career and Professional Development will host the 2018 Spring Career and Internship Expo from 1 to 4 p.m. Wednesday, Feb. 21, in the Baker Pattillo Student Center Grand Ballroom. Faculty and staff members are encouraged to inform students about the event, especially those who may be looking to find a full-time or internship position. Click here for a list of participating employers. 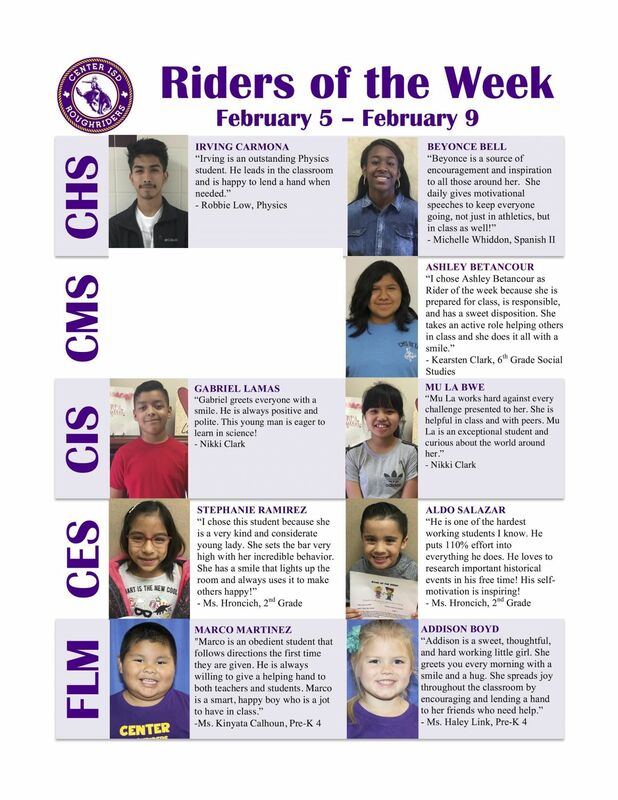 Faculty members who would like a record of attendance for their students must provide a class roster or a sign-in sheet to the CCPD by Monday, Feb. 19. Students will need their student ID for check-in and copies of their résumé to distribute to employers. Professional dress is required. Résumé assistance and the center's free Career Closet are available to students. For more information, contact Brandi Derouen, assistant director of the CCPD, at derouenb@sfasu.edu or (936) 468-3305. The Center for Career and Professional Development is streaming a free webinar by Intern Bridge, “Internship Legal Update for Higher Education,” from noon to 1:30 p.m. tomorrow in the Rusk Building, Room 302, for faculty and staff members who are involved with internship programs. Please plan to bring your lunch and take part in this seminar. RSVP to Jamie Bouldin, director of the CCPD, at jfbouldin@sfasu.edu. The Shelbyville Softball Alumni game scheduled for Feb. 9 at Shelbyville, has been cancelled due to possible bad weather. 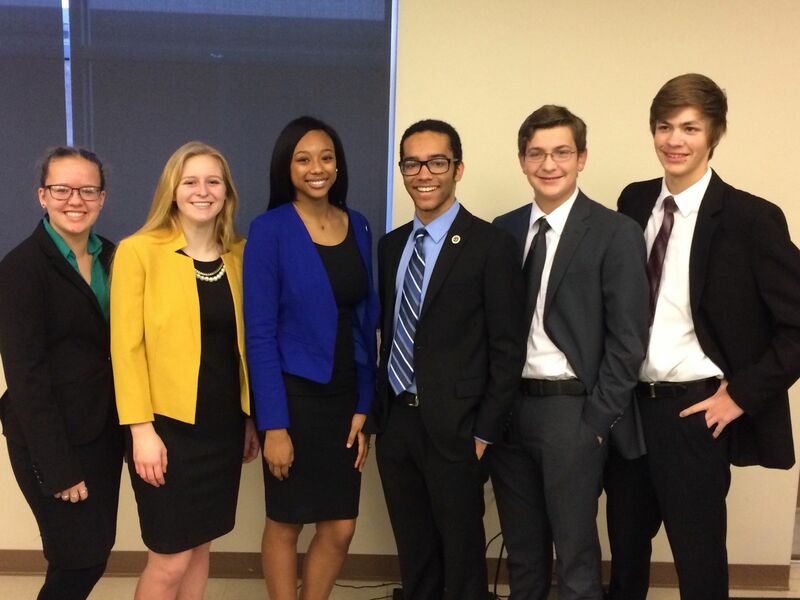 CHS Debate students participated in District-level competition on Wednesday. Mark Perkins and Esther Mergerson are District Champions and will advance to the State Tournament in March. Mergerson was named Top Speaker for the tournament. JackCallen Watlington and Keaton Watlington placed fourth. From left to right: Kristen Orsak, Cheyenne Byrnes, Esther Mergerson, Mark Perkins, JackCallen Watlington, Keaton Watlington. Winner will play San Augustine HS on Saturday at 4:00 pm in Shelbyville for the District 22AA 4th place spot. Senior interior design students will showcase their talents during the “Essence of Design” exhibit on display from Feb. 17 through April 5 on the second floor of Steen Library. The exhibit is open to the public and will kick off with an opening reception from 11 a.m. to noon Saturday, Feb. 17. Each of the 10 students is allotted a 64-square-foot area to create a display that showcases his or her personality, skills and design philosophy. 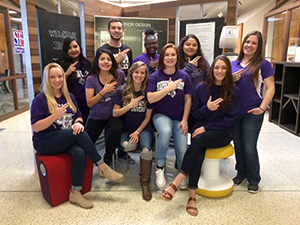 To schedule a guided tour for future Lumberjacks or high school students, contact Sally Ann Swearingen, associate professor of interior design, at (936) 468-2048 or sswearingen@sfasu.edu. Guest pianist May Phang will perform a recital at 7:30 p.m. Tuesday, Feb. 27, in Cole Concert Hall on the Stephen F. Austin State University campus. Phang performs regularly as an international soloist and chamber musician. Her performance is part of the SFA School of Music’s Calliope Concert Series. Students, faculty, staff and community members are invited to join the Office of International Programs for a free presentation about Ghana at 4 p.m. today in the Ferguson Building, Room 479. The event will include a presentation led by SFA international students from Ghana about their country, traditions and lifestyle, as well as sharing authentic food samples. A Q&A session will follow the presentation. For more information, contact Tetyana Kucher, international programs coordinator, at (936) 468-1779 or kucherta@sfasu.edu. Last month, 26 Tenaha Middle School band students and 4 Tenaha High School band students competed for the chance to earn a chair in one of the Region 21 ATSSB All-Region Bands. The Tenaha band students competed against the most talented band students from other 1 A-4A schools in this region. All of Tenaha’s worked hard over several months to prepare audition music for this competition. 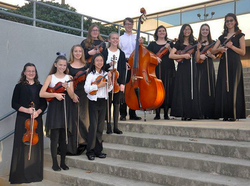 Each student competed on his or her individual instrument as opposed to competing as an ensemble or group. Those that made the band performed with an “all-star” band that practiced together, and performed a concert in Chapel Hill the same day. 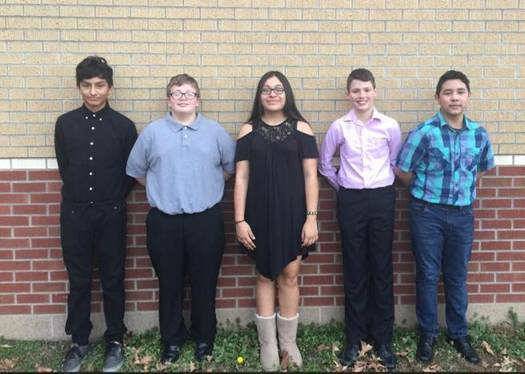 The following students earned a chair in the Region 21 East Zone Middle School Band. Campus Recreation’s Spring Wellness Fair will be from 10 a.m. to 2 p.m. Wednesday, Feb. 14, in the Baker Pattillo Student Center Grand Ballroom. The fair will provide resources and services from a variety of SFA and Nacogdoches organizations and businesses. Services will include blood glucose screening, blood type testing, vision testing, wellness exams, chair massages, product samples, refreshments, educational materials and giveaways. About 30 local vendors will be present. In addition, Blue Cross Blue Shield of Texas representatives will be present to answer questions about the HealthSelect of Texas plan. The event is free to all faculty and staff members and students. The Wellness Fair is a great opportunity for students to learn about various organizations on campus and in the community. Faculty members are encouraged to bring or inform their classes about the event. For questions, contact Jessica Waguespack, Employee Wellness coordinator, at (936) 468-6056 or waguespaja@sfasu.edu. 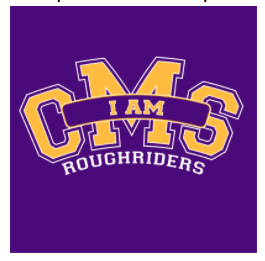 The "I am CMS" shirt is now available to the public! The $15 purple t-shirt with gold and white lettering is available via the attached form. Please submit the form and your payment by Friday, February 16 to the front office of Center Middle School. Tenaha Robotics’ Team wins special contest! The Tenaha team was one of four invited to participate in the contest held in memory of the 15th anniversary of the Space Shuttle Columbia’s disaster upon reentry into the Earth’s atmosphere. 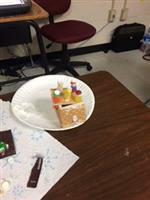 The students were to select a planet or satellite and design a community that could survive in outer space. 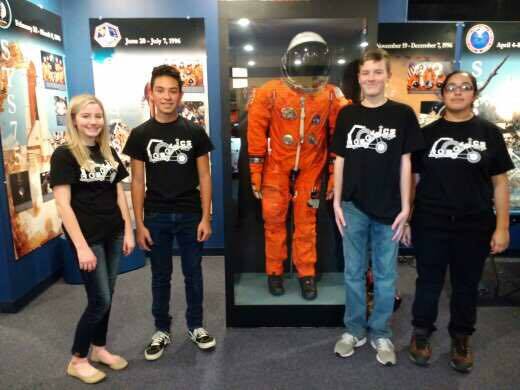 The Robotic Team, made up of Andrew Tyner, Lourdes Perez, Drew Henry and Irvin Barona, chose Mars. They had to include food source, heat supply, waste disposal, and water supply. The students also had an opportunity to meet with NASA engineers after the contest. The first place team will present their winning Mars project at the February 19th School Board meeting. After the Lady Tigers clinched at least a share of their fourth consecutive district basketball championship, the Tiger Boys delivered a clear message to District 22-2A that they weren’t yet done fighting for the title themselves. A resounding 79-49 win over the state’s #4 ranked Dragons from Shelbyville have vaulted the Tigers into a first place tie with three games left to play. 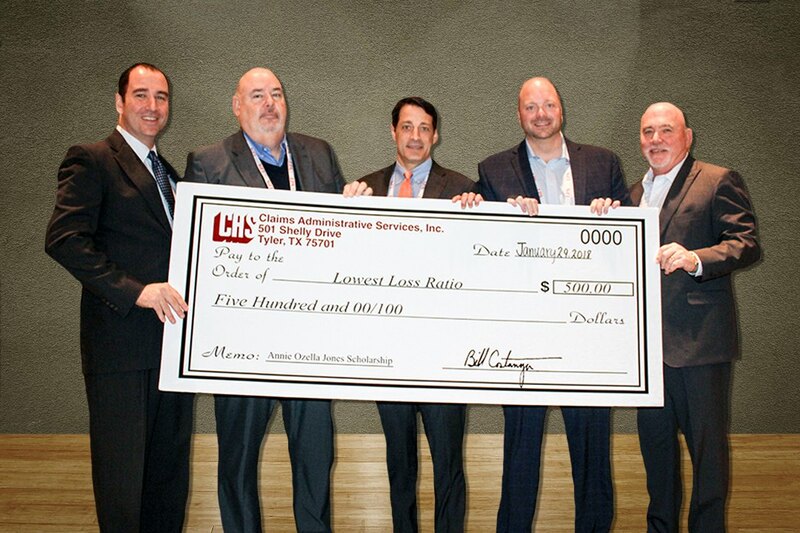 Phil Worsham Superintendent of Joaquin ISD, was presented the Annie Ozella Jones Memorial Scholarship as well as the Billy E. Hibbs Safety Award from Claims Administrative Services while attending the TASA Midwinter Conference. The Annie Ozella Jones Memorial Scholarships are presented annually to the district and/or college that are committed to having the Lowest Loss Ratio, Most Improved Loss Ratio, and Best 3-Year Loss Ratio. Scholarships are to be awarded to a deserving student of the district or college’s choosing to assist with their continued educational interests. The recipients of the scholarship are encouraged to take that extra step to learn more and then as Ozella would say, “Learn even more.” When the Claims Administrative Services worker’s compensation program for independent school districts was first being conceptualized, Billy Hibbs and his executive management team recognized that strict adherence to a comprehensive loss control program would benefit everyone. The school district’s personnel would benefit from a safer work environment, and the district would have less absenteeism from injuries. Losses to the insurance company would decrease, creating a situation where the premiums for worker’s compensation would fall. This would make the price of the coverage much more affordable for the district, and ultimately the taxpayers. For over 26 years, the CAS program has achieved extraordinary success, so much so that it is the benchmark for worker’s compensation models across the state of Texas. Those select Superintendents who operate the very safest districts in this program are recognized annually by this award. SFA Gardens and the university’s student chapter of the National Association for Interpretation are sponsoring the Great Backyard Bird Count from 9 a.m. to noon Saturday, Feb. 17, at the Pineywoods Native Plant Center, located at 2900 Raguet St.
SFA’s Arthur Temple College of Forestry and Agriculture and the SFA Division of Environmental Science will host a public lecture beginning at 7 p.m. tonight in the Brundrett Conservation Education Building at the Pineywoods Native Plant Center. This lecture is free and open to the public. Parking is available at the PNPC and nearby Raguet Elementary School. For more information, contact Sarah Fuller, outreach coordinator, at (936) 468-1185 or fullersa@sfasu.edu. Center HS finished 2nd overall with 13 teams participating. 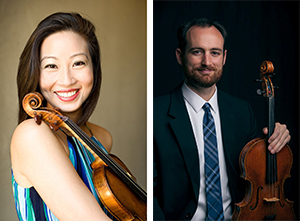 Guest artists Ching-Yi Lin and Andrew Braddock will perform music for violin and viola in a recital at 7:30 p.m. Sunday, Feb. 11, in Cole Concert Hall. The program includes Violin and Viola Duo No. 1 in G major by Wolfgang Amadeus Mozart; Three Caprices by Michael Alec Rose; Violin Solo, Op. 27 Ballade by Eugène Ysaÿe; and Three Madrigals by Bohuslav Martin?. The guest artists will teach a master class, which is free and open to the public, at 2 p.m. that day in the Music Recital Hall, located in the Wright Music Building. High School Honor Roll – See attached. Beta Club News – Beta club sponsor Tina Samford wants parents to know that THS Beta Club is selling Love Grams. If you or your child would like to purchase one, please fill out the attached form and include your money. All Love Grams will be delivered on Valentine’s Day, February 14th. Love Grams include a written Valentine message and candy. The cost is $1.00 each. If you would like to make a purchase contact Mrs. Tina in the High School library or any Beta Club member. Be sure to include “To”, “From” and the grade level on the form. Thanks for supporting the THS Beta Club!! 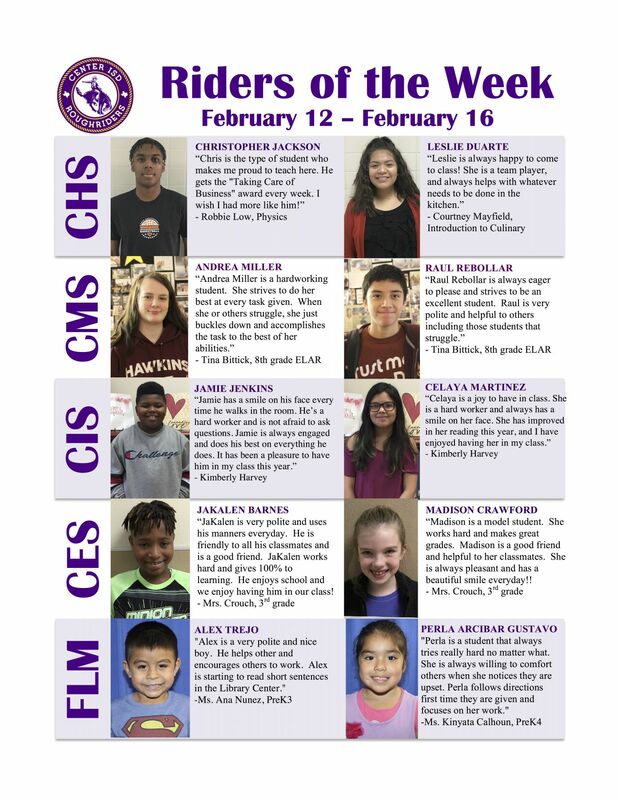 Book Fair News – Teresa Osby wants to let everyone know about the Timpson Elementary Library Book Fair which starts Monday Feb. 5th - Friday Feb. 9th in the Elementary Library. 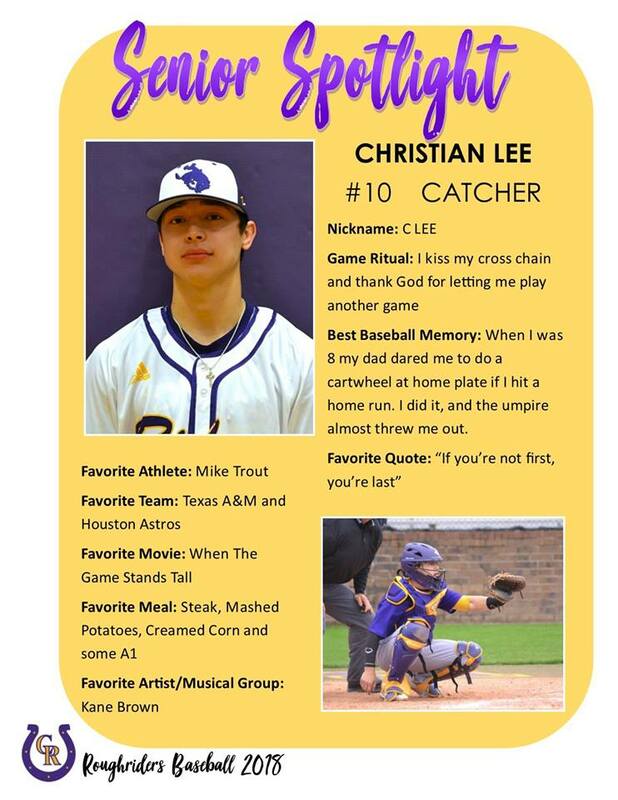 Band Booster Crush Grams - It's Crush Gram time again! Notes went home last week with elementary students, but can be delivered to any campus. Forms are attached! handle the ups and downs of a ball game the right way, handling adversity. It showed the previous two games.” He added. with 1.1 seconds remaining. Roscoe made one-free throw to seal the victory. Saturday afternoon, Panola traveled to Bossier Parish Community College. eventually saw them up 64-50 in the second half. The Ponies won 71-59. Discover the benefits of fermented foods and how to create them with a workshop hosted by SFA Gardens and led by Dr. Darla O’Dwyer, associate professor of human sciences, from 9 a.m. to noon Saturday, Feb. 3, at the Brundrett Conservation Education Building. Participants will learn the health benefits of fermented foods and the scientific background behind the proper technique of anaerobic fermentation. Sauerkraut will be prepared during the workshop, which participants will take home, along with the fermentation vessel provided. Other fermented foods will be available for tasting with recipes provided. Space for the food fermentation workshop is limited, so advance registration is required. The cost is $40 for SFA Gardens members and $45 for non-members. For more information or to register, contact the SFA Gardens education office at (936) 468-1832 or sfagardens@sfasu.edu. The North Texas Euphonium Quartet will fulfill its goal of bringing new euphonium quartet music to the spotlight when the ensemble performs at 7:30 p.m. Saturday, Feb. 10, in Cole Concert Hall on the Stephen F. Austin State University campus. The program will feature three pieces composed for NTEQ: “NiTor EQuus” by Takahiro Iwamitsu, “Airplane” by Yuji Ono and “Goldberg’s Machine” by Ben McMillan. “Peter Sarkisian: Video Works” will open with a reception and gallery talk by the artist from 6 to 8 p.m. Thursday, Feb. 15, in The Cole Art Center @ The Old Opera House, Stephen F. Austin State University’s downtown art gallery. The exhibition, which features video projections on sculpture, will show through April 21 in Reavley Gallery. Admission to all art exhibitions and receptions is free. The Cole Art Center is located at 329 E. Main St. For more information, call (936) 468-1131. The North Forney High School Indoor Percussion Ensemble will present a performance of the show “End of Days” at 7 p.m. Friday, Feb. 23, in Cole Concert Hall on the campus of Stephen F. Austin State University. “End of Days” reflects on the tumultuous events surrounding the end times as told in the Book of Revelations. For more information, contact Dr. Brad Meyer, director of percussion students for the SFA School of Music, at meyerbe@sfasu.edu. 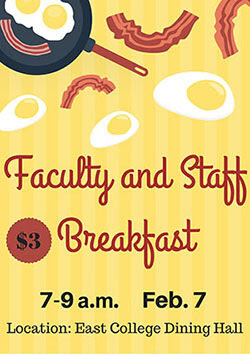 The next SFA Faculty and Staff Breakfast will be held from 7 to 9 a.m. Wednesday, Feb. 7, in the East College Dining Hall. Help spread the word about this event, and invite your SFA colleagues to join you. For a special price of $3, SFA faculty and staff members are invited to enjoy an all-you-care-to-eat breakfast while catching up with colleagues and making new campus contacts. There also will be SFA-themed trivia and prizes. This event is brought to you by the SFA Social Events Team in the spirit of our “SFA Envisioned” strategic plan, which includes fostering a culture of engagement within our campus community. 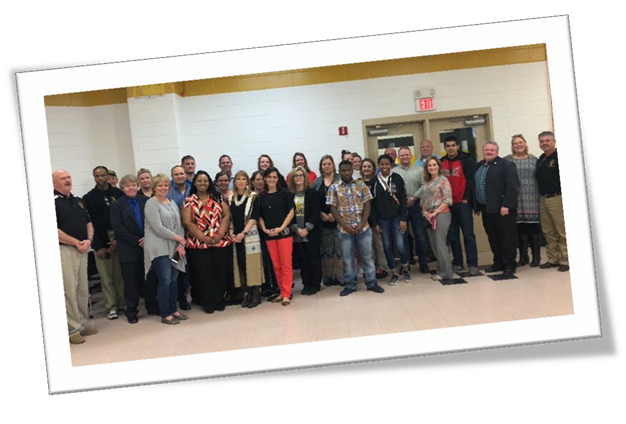 Tenaha ISD would like to recognize students in grades 1-12 who have achieved Perfect Attendance, All As, or all As and Bs for the first Semester. NACOGDOCHES, Texas - The Stephen F. Austin State University Board of Regents approved various leadership changes during its quarterly meeting Tuesday. Ron Watson was named director of the physical plant, the university department responsible for the administration of all education and general facilities and associated services, such as grounds and building maintenance, custodial services, transportation services and campus construction projects. Watson began his SFA career as a student while pursuing a Bachelor of Applied Arts and Sciences. He worked as a hall director and coordinator of residence life before leaving the university to pursue a career in the restaurant industry. Watson has served the university for a total of 25 years. Danette Sales was named SFA's controller, having served as assistant controller since 2004. Sales has years of public and corporate accounting experience as well as experience working in school districts. In finance and administration, Judith Kruwell was appointed director of financial services and Michaelyn Greene was named director of administrative services. An SFA accounting graduate, Greene worked for 20 years as the controller for Angelina College. Additionally, regents appointed David Kaiser as lecturer of economics and finance and director of the Chadwick family banking program in the Rusche College of Business. This program prepares students to fill the growing need for qualified bank personnel and combines core coursework in business and finance with industry-specific learning opportunities. Associate Professor Haskell Cooper was named associate director of the Center for Rural Social Work Research and Development. This center, housed in the School of Social Work, helps develop community-based social services and leadership capabilities of rural service providers. 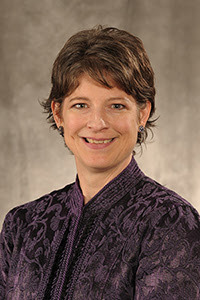 In the College of Sciences and Mathematics, Deborah Dunn, professor, was named interim chair of the Department of Computer Science. Dunn has worked for more than five years in the industry as a programmer/analyst for a major oil company. 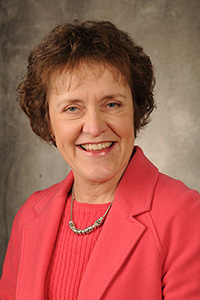 Prior to joining the SFA faculty, she taught at various universities and colleges while also serving in leadership roles. Other approvals in the College of Sciences and Mathematics included Joann Giudici, lab coordinator of biology; Julie Lewis, lecturer of mathematics and statistics; Jessica Williams and Allison Younger, clinical instructors of nursing; and Vance Imhoff, from biology lab coordinator to lecturer of biology. Additional staff appointments include Jason Callico, assistant director of financial aid in the Office of Student Financial Assistance; Kirsty Dymond, assistant general counsel; Jason Wiggins, manager of network services in information technology services; and Sarahina Borgia and Jamaica Ethington, hall directors in Department of Residence Life. The board also approved the following changes of status: Steffany Newsome, from accounting assistant III in student center administration to risk and compliance auditor; and Jane Ann Bridges, from risk and compliance auditor to assistant director of audit services in audit services; and Heather Burns from hall director to area coordinator in residence life; and Mary Smith from assistant director to interim director of instructional technology in the Center for Teaching and Learning. In the Department of Athletics, staff appointments approved by regents included assistant football coaches Benjamin Beasley, William Best, Jeffery Byrd, Tony Gilbert, Jeremy Hammock, Thomas Howe, Joshua Lawson and Jeremy Moses. Regents approved the retirements of the following staff members with more than 100 years of combined service to the university: James Lee Brittain, director of physical plant; Judy Duffin, payroll manager; Dora Fuselier, controller; Paul Weatherford, laboratory associate in the Soil, Plant and Water Analysis Laboratory; and Kathleen Williamson, director of financial services. 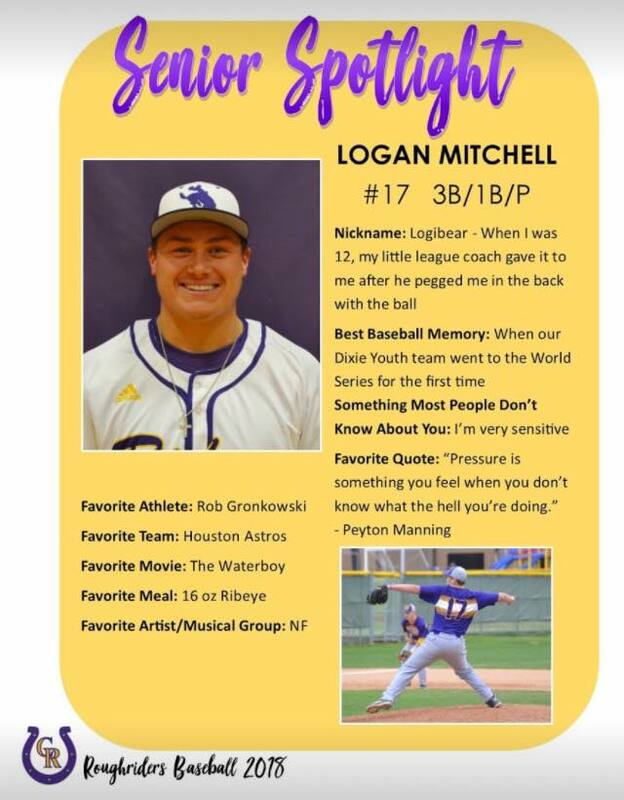 NACOGDOCHES, Texas - Seven students in the Music Preparatory Division of the Stephen F. Austin State University School of Music were selected to participate in last fall's Regions 4 and 21 clinic and concert at Longview High School. NACOGDOCHES, Texas - The College of Fine Arts and School of Art at Stephen F. Austin State University will usher in February's observance of Black History Month with three diverse performances.